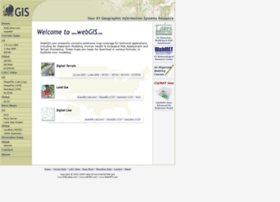 WebGIS brings you leading information and resources for Geographical Information Systems. Free Digital Terrain Data, LULC Data, DLG Data, books, videos, software and more. Hosting company: Execulink Telecom Inc.